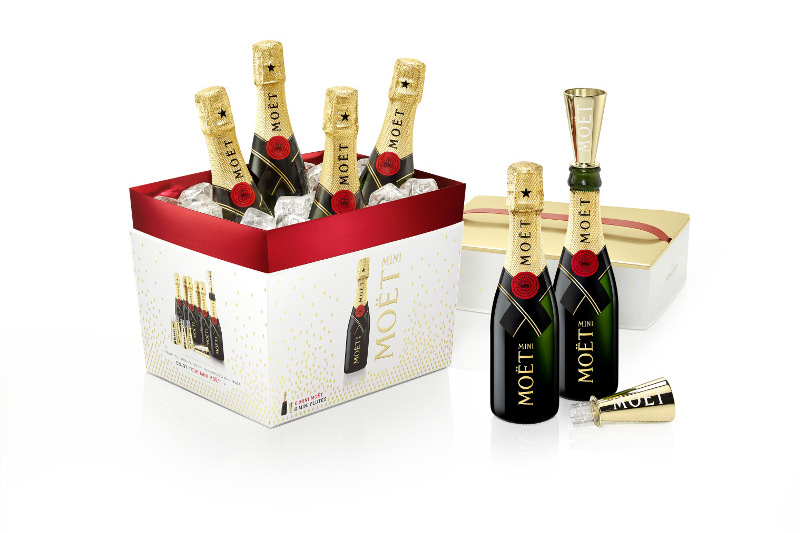 Moët & Chandon launched the Mini Moët pack as an ideal way to share pleasant moments with friends. 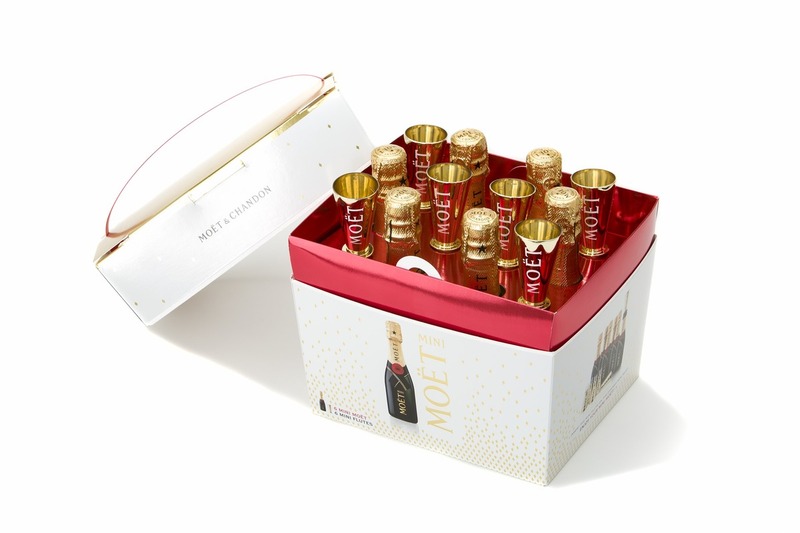 It contains six mini bottles of Moët Imperial and six mini golden flutes. This boldly branded pack keeps the bottles perfectly positioned and protected. 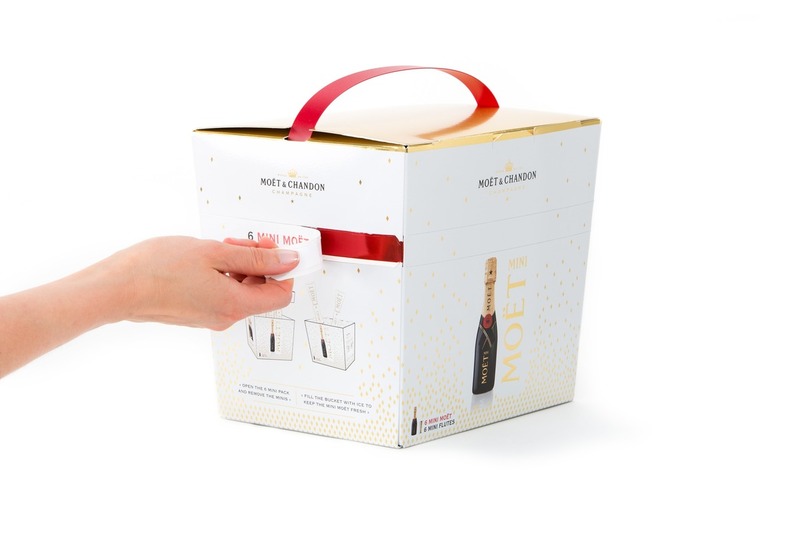 Indeed, it’s easy to take out the inlay and create an ice bucket from the pack – just add ice cubes to refresh the Mini Moëts and enjoy! 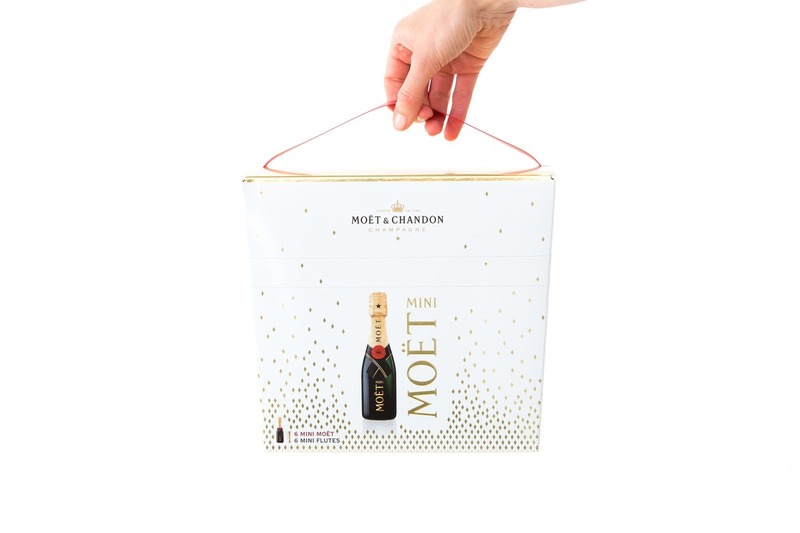 This cleverly designed pack is perfect for transporting and sharing Mini Moëts. Drink responsibly! The response to the brief resulted in a conical construction with a flat inviolable top. A plastic handle is added to carry the party-box. The pack contains an easy to remove insert with two handles that hold the bottles and flutes. A really precise registration between gold design and white background is underlined by precise selective shiny and matt varnishes. The colours are wonderfully subtle. This was a unanimous decision the moment we opened the box. The tear strip works well and neatly but it was that jaw dropping moment when we lifted the lid that stole the show. It was like opening a box of treasure, the way the products were presented and the way the internal carton was structured to hold several small bottles of champagne and their respective drinking vessels. In the past, some of the winners have been relatively simple carton constructions, yet the winner here is more complex and all the better for it.